Essential oils can do so much more than just create a pleasant aroma around the home. Many have antimicrobial properties, making them a great alternative for cleaning your house. From the kitchen to the bathroom to the laundry, essential oils can be great additions to your homemade cleaning products. Traditional commercial cleaners can be full of harsh chemicals that you don’t want around your food or your skin. 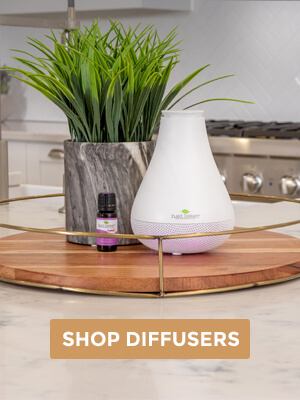 So utilizing the cleaning power of essential oils can be a great way to create and maintain a healthy, environmentally friendly household environment. If you are wondering what essential oils to use as effective cleansers, you’re in luck! We’ve compiled a list of some great essential oils for non-toxic cleaning. Lemongrass oil, with a fresh, lemony, tea-like fragrance, is a wonderful addition to any DIY project for your home. The constituents in lemongrass oil give it a powerful advantage against germs. Effective at a dilution of 1%. With a fantastically light, clean scent, Lemon Essential Oil is a wonderful addition to any DIY cleaning recipes. When you use lemon essential oil for cleaning, its refreshing scent works as a nice pick-me-up while you clean. Lemon oil is a particularly good choice for cleaning the kitchen sink where odors tend to accumulate. It’s also great to add a few drops to your laundry for an extra-fresh citrus boost. Sweet Orange has a fantastic smell that is uplifting and bright. It contains a naturally occurring solvent called limonene that is great for cutting through grease and grime. Its antiseptic properties make it a potent cleanser for use on cutting boards, countertops, bathrooms and any surface where you want a germ-free clean. Its citrusy fragrance makes a great choice for diffusing to give the air a clean and fresh feeling. This minty oil has powerful cleaning properties with a cooling fragrance that smells great in the bathroom or the kitchen. It is effective against a wide range of germs at a dilution of 1%, so it makes a great choice for cleaning up after meal preparation. Try combining it with thyme or rosemary in your homemade cleaning products. Lavender is a favorite essential oil because of its versatility and relaxing aroma. Its name is actually derived from the Latin word lavare, which translates as “to wash.” It is a very nice addition to homemade laundry soap and blends well with many other popular oils. Try blending it with peppermint, tea tree, or lemon in your next DIY cleaning product mixture. 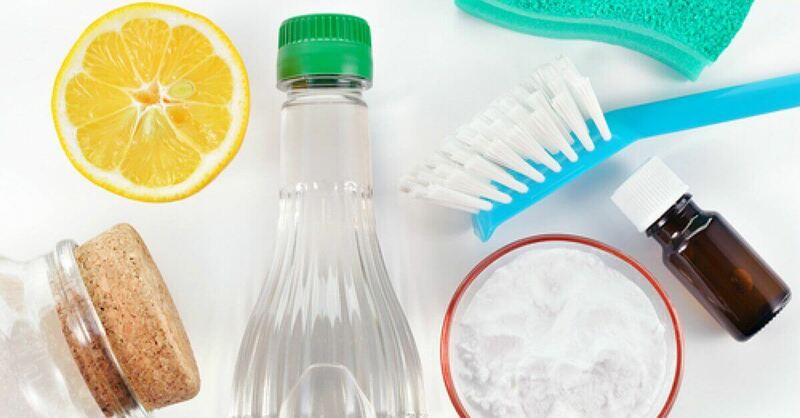 It’s very easy to use simple household ingredients to create safe and effective DIY cleaners. For the bathroom, mix together water and baking soda with a few drops of unscented castile soap to make a paste. Then add around 20 drops of essential oils and mix. The paste is a great alternative to traditional bleach-based cleansers used on toilets and tubs. For the kitchen, add vinegar to a spray bottle of water along with some cleansing essential oils of your choice. The amount you use depends on how much fragrance you prefer, but even a few drops can boost the cleaning power of water and vinegar. Use the spray on counters, stovetops, the sink, floors or any surface you wipe. Be sure to use gloves and shake well as the essential oils won’t be fully dispersed. How do these ingredients work? Vinegar contains acetic acid which has the power to kill bacteria. Baking soda is alkaline and is excellent at removing stains. Castile soap produces a natural lather that is non-toxic and can be used on any surface. Not only are these ingredients safe, but they have also been used for generations — and they work! Have fun mixing in your favorite essential oils to reap their aromatherapeutic benefits while you clean. Since cleaners typically have higher dilutions of essential oils, be sure to use gloves when cleaning to avoid getting any cleaners on your skin. I am just getting started using essential oils. I am super excited at the thought of making my own cleaners and saving money doing it! Thanks for all the wonderful information. Now I need some Thyme. And some time to clean! I want to leave work now and go home and whip up some eo cleaners and get to cleaning. For someone that is fairly new to the eo world, and someone who can’t stand the smell of vinegar, please give me a recipe for a kitchen cleaner! I love all the citrusy smells and germ fighter as well. Minty is good too. So excited to start making my own cleaning supplies with my oils! Sweet orange is definitely going to be my next purchase. Great blog post! Lemongrass has to be a must have cleaning EO. I’ve made a sanitizer spray using it with alcohol and it’s great as a cleanser and I also used it to clean any equipment I use when making creams or other skin products. It smells amazing too. Thanks for the other cleaning tips. Me too! I often make room freshner sprays but now Im very excited to make some cleaners with Thyme, Rosemary & Peppermint the amazing with smell amazing at the same time & no toxins!!! I love cleaning with essential oils! I never purchase rash chemical cleaners anymore because these work so well- and smell great! Made my own floor cleaner using lemon, castille soap, and vinegar Cleaned just as good as pine sol with a much more natural smell! I love the information on each of the oils here, but I have a question: do vinegar and witch hazel act as the carriers in the liquid recipes? I feel like the essential oils wouldn’t dilute and mix in, but just sit on top… Very curious about this! Thanks in advance! For killing germs, both peppermint and thyme need to be at a 1% dilution according to the article. So if I make a cleaner using both of these, should I dilute each oil to 1% or should my total oil dilution is 1% (ie, each would be diluted to .5%)? Will each of them do their germ fighting jobs if not at the full 1%? I finally made my own EO cleaner! I love it and am so excited to start on this avenue of using EO’s. Can’t wait to try this. anytime I can reduce the amount of chemicals I have in my home and still get clean I jump for joy! Very helpful! I have read a lot about natural cleaning products and using oils in cleaning, but I still learned some new things. Never realized I should be wearing gloves–I will start now. And I hadn’t thought of combining thyme with peppermint; sounds interesting, and that should tone down the strong herbal scent. Thank you! I’m excited to try these options in the future. I love how easy it will be to mix these up, and I’ll feel better about using these over cleaners with so many chemicals and ingredients that I’m unfamiliar with. Next I need to try some of the foaming soap recipes! I have been interested in making my own cleaners for the home. These tips are helpful. Thanks! I’ve been trying to reduce the number of chemicals in my home. I will most certainly be making the bathroom soft scrub described in this article. Thank you!!! I love cleaning with Lemon EO, it smells so clean and fresh and leaves everything sparkling clean. Also foaming hand soap a foaming soap dispenser add 2 tbs of castile soap and drops of Germ fighter. I’ve switched all my cleaners over to vinegar, baking soda, Castile soap and essential oil recipes. We recently moved and have granite countertops. Are essential oils okay to use on them? Vinegar shouldn’t be used on granite countertops. EO’s are ok.
Great blog post. I loved Retha’s live that went along with it and I learned a lot about how I can add these into my cleaning routine and possibly even save some money in our budget. Thanks. I am going to make a cleaner with peppermint EO. Peppermint smells wonderful year round! I love it. Great info, I need to try more of these oils for cleaning. I want to try the bathroom recipe, but you don’t state how much water/baking soda should be used with those 20 drops of EO? Thank you for the dilution info for thyme and lemongrass. I’ve wondered many times what the dilution threshold is where they still kill bacteria. You’re welcome, Jennifer! Glad we could help! Great blog, thank you! We use EOs a ton! And yet… we haven’t made the transfer to EOs for cleaning. This is my next step. I am done buying synthetic household cleaners. Thank you for this information! I like to use a drop of peppremint in my floor steamer. It really freshens up the house. That’s a great idea, Laura! Thanks for sharing! We use a few different oils for cleaning. Germ Destroyer- to clean door knobs etc during cold and flu season- , Tea Tree in laundry and any citrus (Lemon, Grapefruit Pink) in dish water after hand washing dishes it helps clean the sink and makes it really shine. I LOVE using oils when cleaning our home. That’s great, Vicki! Thank you so much for sharing! Is it safe to use all these oils for cleaning around young children under the age of 10? Kris, we do not recommend using non Kidsafe oils around children 10 or younger. I love this post – so helpful. I didn’t know half of the things and had no idea that I can use lemon. I will definitely try these tips. Hi there! Does a preservative need to be added to a multi-purpose cleaner? I plan to use distilled water, white vinegar and some EO’s? Also, if I wanted to substitute the vinegar for something else less smelly, what should I try? If you keep stored in the fridge and keep no longer than a week, you do not need the preservative. If you are wanting to keep longer, you need one because there is water in the mix. What specific types of vinegar can be used? Can you use rice vinegar? I used rice vinegar to clean my diffuser, and it worked really well. Hi, whats the recipe for the counter top cleaner? Thank you for this articile! I combine lemongrass, tea tree, and thyme for my kitchen. It works great! I love cleaning with my essential oils! Haven’t tried the bathroom cleaner yet, so next on my list this weekend. Thank you for the great tips! I mix Germ Fighter and Lemon oil together along with white vinegar in a spray bottle to clean my counter tops. My counters are clean and fresh smelling. I also love that I don’t have to worry about my kids sitting down their fruit on the counter and then putting it in their mouths since I know that the counters are not only really clean, but have no residual toxic cleaners left behind on them that commercial cleaners leave behind. I m about to make toilet bombs for the first time. I think I m gonna go wirh lemon and lavender. It is going to be so much fun to do it. Thank you for this- super helpful! I make a mixture of baking soda and lemon/peppermint oils to deodorize our rugs. Our house smells SO good afterward. I’m really grateful for this post! I was recently diagnosed with breast cancer so have dramatically changed a lot of lifestyle habits. I’ve switched to natural cleaning products, but even they are loaded with some “questionable” stuff. I will surely take your advice with the above oils. Cant get any more natural than that! I love using the paste recipe to clean my bathtub and sink. The baking soda helps scrub off the grime and soap scum and I use tea tree oil to deal with the mold and mildew. It’s safe enough for my kids to help and that’s always a bonus! I need to start using some of my oils to start making my own cleaning products. Do you recommend a PET plastic or glass spray bottle rather than a soft plastic bottle due to leeching? I love cleaning with lemongrass. It’s uplifting as well as a great cleaning oil. Orange oil is my second favorite in terms of scent but it is an equally great cleaner. I combine them with Castile soap, water and vinegar. I love using lemon essential oil in my natural cleaning products, but lately my go to has been lime. I have become so addicted to this oil. Its so fresh and citrusy. I absolutely love it. Plastic or glass spray bottles? Does it matter, specifically with lemon? If you use a plastic bottle, I would recommend PET plastic. Thanks for the tips!! 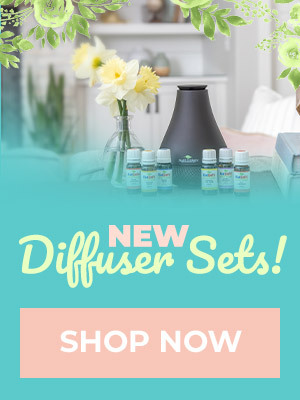 I tend to use lemon tea tree because it’s my favorite but I will definitely try out these new ideas and see if I can find some new favorites. I have all of these oils and currently only use the vinegar + EO route for a daily shower spray. I see a number of commenters and hte blog post recommend use vinegar + castile soap + EO for regular kitchen cleaning. How does it hold up to commerical cleaners? Do you also use it when you need an antibacterial for things like raw chicken? Thanks! Love this post! I’ve gone to all natural cleaners and my oils help so much! Lemon and Lemongrass are fantastic for using in homemade cleaning products! So fresh smelling and great for reducing germ loads. Do you have any recommendations for a room deodorizer? I don’t want to use any commercial air sprays but we need help with a cat-astrophy(cas was accidentally in a closed room for two days-he’s fine but the smell is awful!) I kept a diffuser in the room overnight with tea tree and peppermint, but it needs something more. I put vinegar about 5ml so every time I use it to clean it smells vinegar. I use white vinegar for cooking. Is it the one to use for mixing it with essential oils? I love using essential oils in my cleaning routine! I have a vinegar and alcohol based floor cleared that I add Lemon and Germ Fighter too. I also have an multi purpose spray with Lemon and Peppermint. It is one of my favorite ways to incorporate EO’s into my home! I’ve made the cleaning spray with rubbing alcohol and it worked fine for me but the alcohol smell is kind of strong and my husband hates the smell of rubbing alcohol and vinegar so I use vodka instead. Lucinda, do you add oils to straight vodka? Or do you mix it in water? You mix the vodka with water just as you would have with the vinegar. The vodka is the substitute for the vinegar, or substitute for rubbing alcohol. I too, have used vodka for many years instead of vinegar. It leaves no smell, just that of the amazing EOs. My faves to use in my homemade cleaners are lemon, orange and tea tree. They clean well and smell great! I use all of these to make my own cleaning products at home. Amazing! I have several of these oils that are old, but smell fine. I made some nice counter wipes with them. I love Lemon (and any citrus, really) for cleaning! I’ll have to give the others a try! I love to add a little of the miracle ll soap to my cleaning spray bottles….plus orange and a little clove and water!!!! I also use this on a small towel when my dogs come in from outside! Takes away that doggie outdoor smell!!! I’m new to eos and clean living. I’ve started with replacing products that I use on my skin, but now I need start replacing my cleaning products. Can’t wait to start using eos in a new way. Ooo so excited to get a spray bottle and make up a batch. Will be so nice not to have that noxious chemical smell when spraying down the countertops! I use the Germ Fighter synergy with witchhazel for a good disinfectant spray for my pet cages and living spaces. It smells great and works wonderful, yet it is gentle enough to not bother my hamster. I love it. Love to clean with Lemon EO, it makes my kitchen smell amazing! You show a picture of using essential oils to clean a toilet, what do you recommend with cleaning a toilet ? For the bathroom, mix together water and baking soda with a few drops of unscented castile soap to make a paste. Then add around 20 drops of essential oils and mix. The paste is a great alternative to traditional bleach-based cleansers used on toilets and tubs. What type of container do you put that in? I feel like it will be too thick for a spray bottle. Teresa, may I know which recipe you are referring to exactly? What you you recommend for a granite kitchen counter top cleaner? I’ve heard mixed opinions about EOs slowly degrading granite and then others who swear by it. I would actually recommend reaching out to the manufacturer of the counter tops to be sure what can be used for cleaning them. I have all of these except thyme. 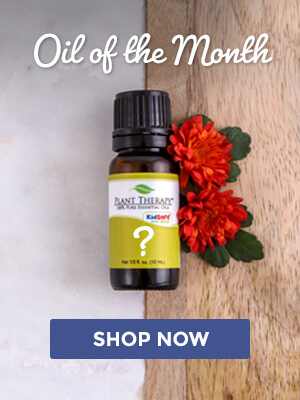 When I get my Oct OOTM would those work the same as the regular oils? I made a cleaner recently with Siberian fir, peppermint, and lemon. It was smelled wonderful and I was support my respiratory system while I cleaned! Love using essential oils for cleaning! Any suggestions on what to use on marble as vinegar is out as it can ruin the surface? Thanks for the tips! I already use vinegar and water to clean everything, so I’ll definitely add some essential oil to the mix for that wonderful fresh smell. I especially like that I can use orange oil in the kitchen. What a great idea. How about a cutting board cleaner recipe? Would I use one of the above? Also, what carrier oil is best used in place of board oil ie food grade mineral oil or do you still think I should continue to use it occasionally? We use “spoon butter” on our boards. Basically beeswax and sunflower oil (1:4 ratio) melted together and poured into a jam jar. It protects the wood and smells delicious! I add Lemon EO to mine and it’s so yummy! Good for wooden utensils and handles too!! What a great idea! Thank you for sharing that with us! Thank you,thank you,thank you. Love this post. Will have to come back to this post again. Need to add Thyme to my collection . Great blog, I had to come read after your live! I don’t clean w essential oils like I could so thanks! I use the Plant Therapy Germ Fighter… As a fantastic multi surface cleaner! Do you recommend tap water or distilled water? So informative! Although, noticed Peppermint, Lemongrass and Thyme are not Kid Safe EOs. Can they still be used to clean in home with young kids? If so, how to safely use? Thank you! I love the smell of Lemon EO! Can’t wait to try out DIY household cleaners! It seems like the second to last paragraph in this article is incomplete though- “Be sure to shake well as the essential…”? I love this blog post. Haven’t used my oils for cleaning very much but I certainly intend to do that now. Thanks for this post. Just wanted to let you know the second to last paragraph cuts off without finishing. I create web content too. THE STRUGGLE IS REAL!!! I have all except thyme. I love cleaning my home with natural non toxic ingredients! I wonder if there is a recipe using essential oils to wash our vegetables and fruits before consumption? 4 cups filtered water, 1 cup apple cider vinegar, 10 drops lemon essential oil. Mix all ingredients in a large bowl (not plastic). Submerge produce in the bowl. Stir the produce around with your hand to make sure all of it comes in contact with the lemon essential oil. Let the produce sit for 30-60 seconds. Rinse with filtered water in a strainer. Vinegar is my go to cleaning agent. I’ll have to experiment by adding some of these oils! Don’t forget Tea Tree Oil. Best to get rid of weird smells in the toilet. Also when you’re done cleaning, apply a drop of Tea Tree Oil on your palm and then add soap to wash your hands. No more yucky smell stuck on the hands. Do you need to use an emulsifier? Michelle, could you let me know what exactly you are asking about an emulsifier for? Hmmm… I need to purchase time and lemon grass. I use all the others, but I would love to try those out as well.